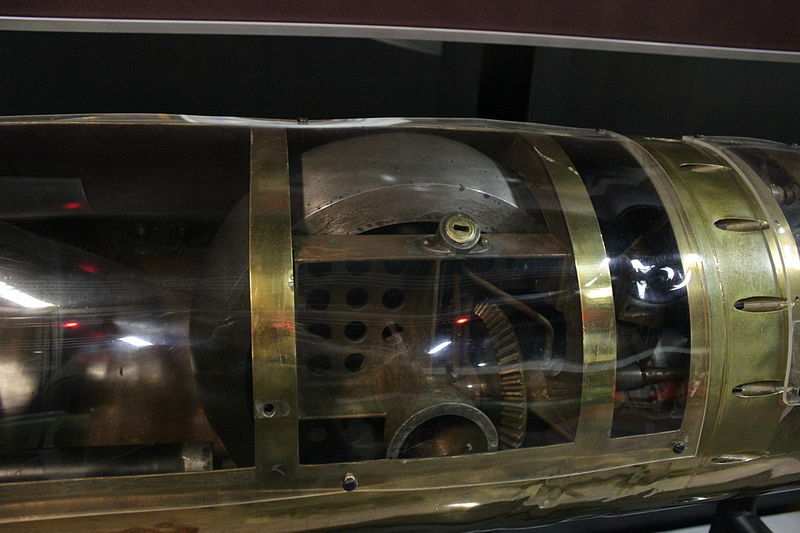 The Howell Automobile Torpedo was the first self-propelled (locomotive) torpedo in United States Navy service. 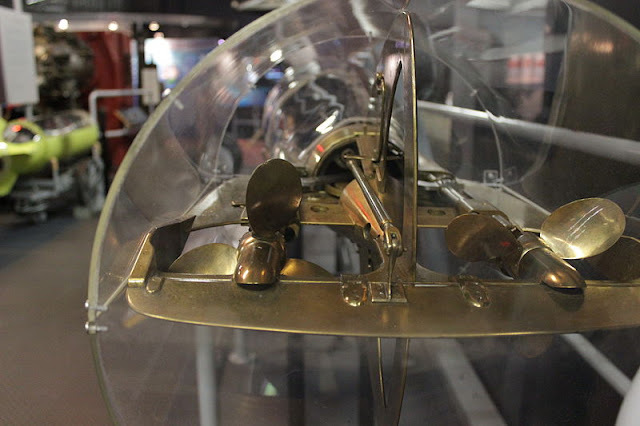 It was conceived by Lieutenant Commander John A. Howell, United States Navy, in 1870, using a 60 kg (130 lb) flywheel spun at very high speed (10000 to 12000 rpm) to store energy and drive propellers. Because it had no complicated engine and fuel system, the Howell was much cheaper and easier to build than its main competitor, the Whitehead. In addition, unlike the Whitehead, the Howell was wakeless, not giving away the position of the firing vessel; its flywheel was, however, very noisy. It did demand large winches to "spin up" the flywheel (a drawback not solved in the Howell's operational lifetime.) Also unlike the Whitehead, its trim did not vary up and down. These things were all due to the gyroscopic effect of the flywheel; any tumbling was corrected by simple pendulum (an idea pioneered by Whitehead). It made the Howell the first torpedo to use this effect; when, in an attempt to improve stability, Whitehead (using a Ludwig Obry design) adopted them in 1895, Howell sued for patent infringement. After very protracted development – the product of a paucity of funds, the novelty of the torpedo as a weapon, and myopia of the Navy's senior officers – fifty Howell Torpedoes Mark 1 were ordered (from Hotchkiss Ordnance Company of Providence, Rhode Island) in 1889. This was 14.2 in (36 cm) diameter, 129.75 in (330 cm) long, with a 96 lb (43.5 kg) warhead and a range of 400 yd (365 m) at 25 knots (46 km/h). Contemporary Whiteheads, built by E.W. Bliss & Co, had superior performance, and greater growth capacity. These fifty would be the only production examples, as the Howell was superseded by a rapidly improving Whitehead in 1892; as a consequence, the Howell's drawbacks were never cured. It is, therefore, impossible to know if quieting would have mitigated any loss of surprise to noise (as sometimes suggested). In May of 2013, a Howell torpedo was discovered in two pieces on the seabed by US Navy-trained dolphins, near Coronado, California. 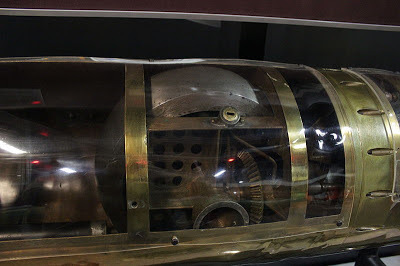 Prior to this discovery, only the Howell at the Naval Undersea Museum was known to exist. Fitzsimons, Bernard, general editor. "Howell", in The Encyclopedia of Twentieth Century Weapons and Warfare. London: Phoebus/BBC, 1978. Volume 13, page 1371. Kirby, Geoff. "A History of the Torpedo The Early Days", in The Journal of the Royal Navy Scientific Service, Vol 27 No 1.